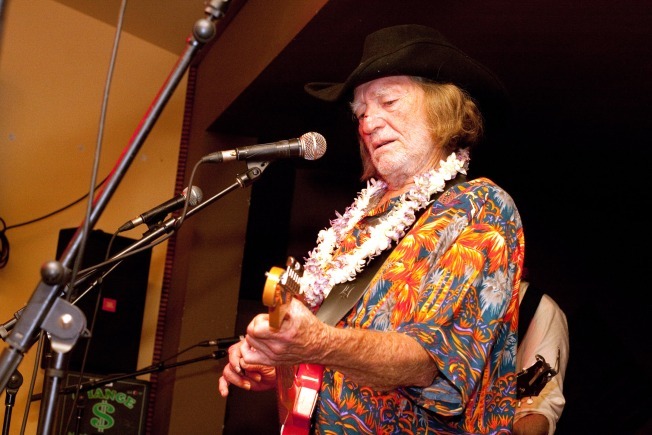 Legendary crooner Willie Nelson performs with his son Micah Nelson's band, The Reflectacles, on Saturday, May 22, 2010 at Charley's in Maui, Hawaii. A spokeswoman said Nelson, who's been hanging loose in Hawaii, got his hair cut in the past couple of weeks. Country music fans have come to expect a little eccentricity from legendary crooner Willie Nelson, but he pulled off a real shocker this time. VIEW THE PHOTOS: Maria's Madcap Adventures: Rockin' With The New Kids On The Block! "Oh Noooooo!," wrote one fan who saw a picture of Nelson's new do on the website of Nashville TV and radio personality Jimmy Carter. Nelson's waist-deep, reddish pigtails have long been one of the singer-songwriter's signature features. But spokeswoman Elaine Schock said Nelson, who's been hanging loose in Hawaii, got his hair cut in the past couple of weeks. She said the Texas-born performer didn't make a big fuss about the makeover, but she thought he might have grown tired of dealing with long locks. "There's a lot of maintenance," she said. VIEW THE PHOTOS: Hair Metal Mania: All The Bands With Big 80's Hair! PLAY IT NOW: Chely Wright: Why Was It The Right Time To Come Out?